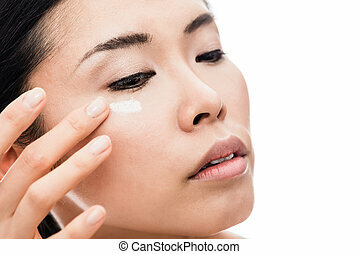 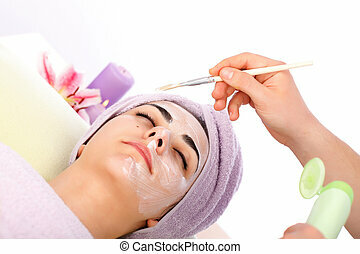 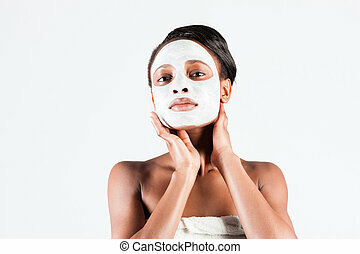 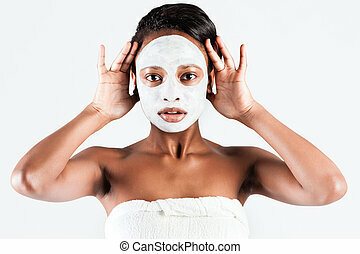 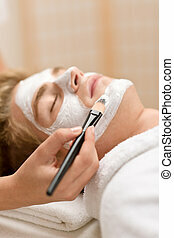 Cosmetics - applying facial mask. 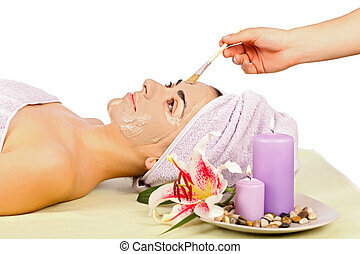 Woman having a mask or cream applied in the course of a beauty treatment. 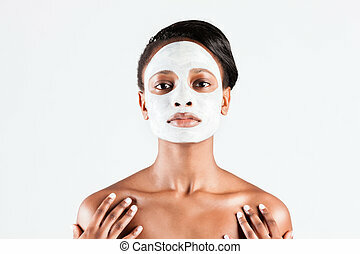 Attractive lady at spa relaxing while receiving facial mask. 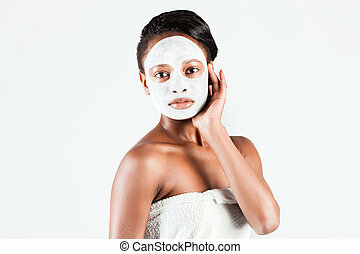 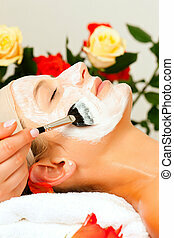 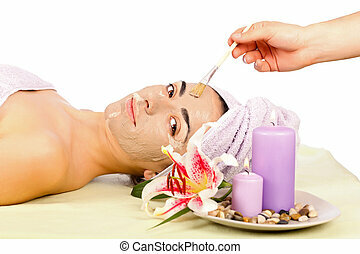 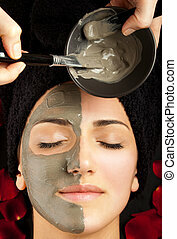 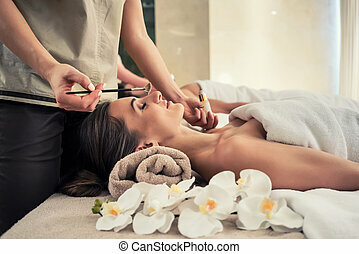 Beautiful young woman at spa with facial mask relaxing.